Gerald M. Quinn, an award winning broadcaster and community leader born in Garracloon, County Mayo (pop. 44) and now living in Euclid, has played a decisive part in keeping Cleveland area Irish in touch with their heritage. He conceived and chaired the efforts that led to the founding of Cleveland’s Irish American Club – East Side in 1978 and the Mayo Society in 2004. 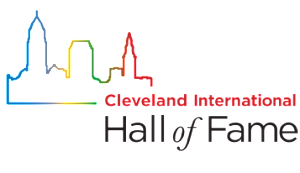 His weekly show, Gerry Quinn Irish Radio (WHK 1420), 31 years on the air, has received the Achievement in Radio Award (A.I.R) and was named Best Ethnic Program in Northeast Ohio. It was as a project manager for a Philadelphia construction and engineering company that Gerry traveled to Dublin in 1979 to manage construction of a pharmaceutical plant. This subsequently led to a long phone conversation about Ireland with his friend Leo D’Arcy, that was taped for a radio station D’Arcy managed in Willoughby. He signed Gerry on the spot, launching the lad from Garracloon on his own 3 decades long career as a broadcaster. 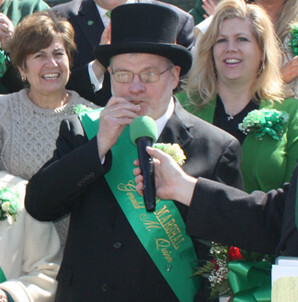 Gerry was honored as Grand Marshall of the 2011 Cleveland St. Patrick’s Day Parade.